Most families and friends have go-to cuisines to choose from when they can't decide where to eat for celebrations or simple gatherings. 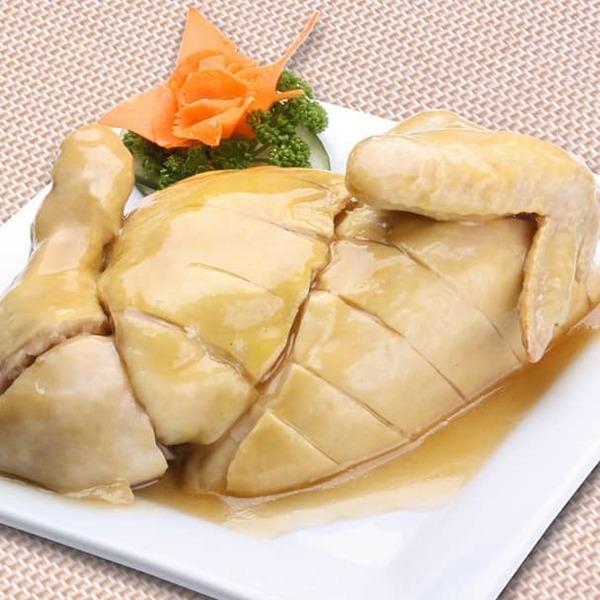 Although most known for their delectable Hainanese Chicken Rice, the low-key but high-quality Wee Nam Kee offers Singaporean-Chinese fusion cuisine that's perfect for both solo and sharing the enjoyment. Aside from their signature Steamed Chicken Rice (P199-P888), what are their other items worth salivating for? The Salted Egg Chinese-Style Fried Chicken (P330), a fried delight coated in rich salted egg sauce, the unique Cashew Coffee Spare Ribs (P295), and of course, the crunchy Cereal Prawns (P450) which you can also get in creamy Salted Egg Yolk style (P450). 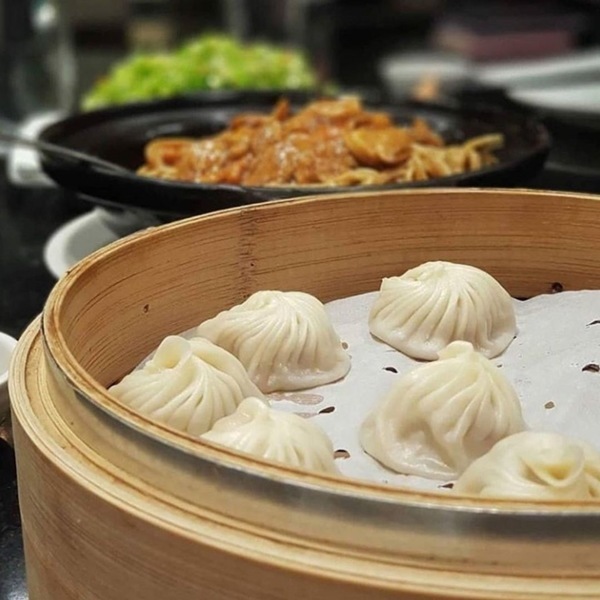 Got a xiao long bao craving you can't ignore? 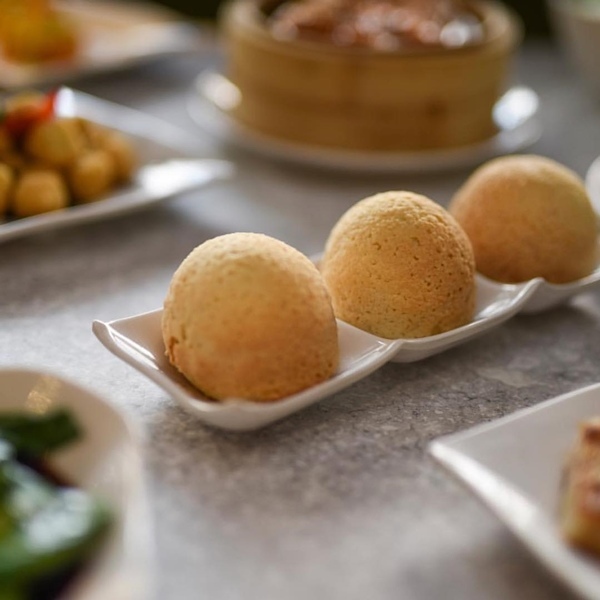 Head over to Din Tai Fung, the famous resto chain hailing from Taiwan, and gorge on all your favorite dim sum and dumplings, with friends or by yourself (no shame). 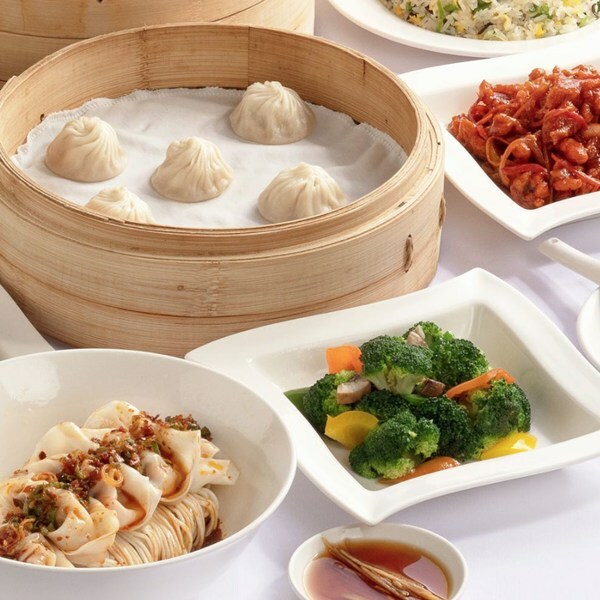 The must-try orders include the Pork and Roasted Garlic Xiaolongbao (P160-P315) the signature star of the show, as well as other variants to the famous soupy dumplings: Crab Roe and Pork (P285-P565), Truffle and Pork (P135/piece), Chicken (P160-P315), and the pescatarian-friendly Green Squash and Shrimp (P160-P315). 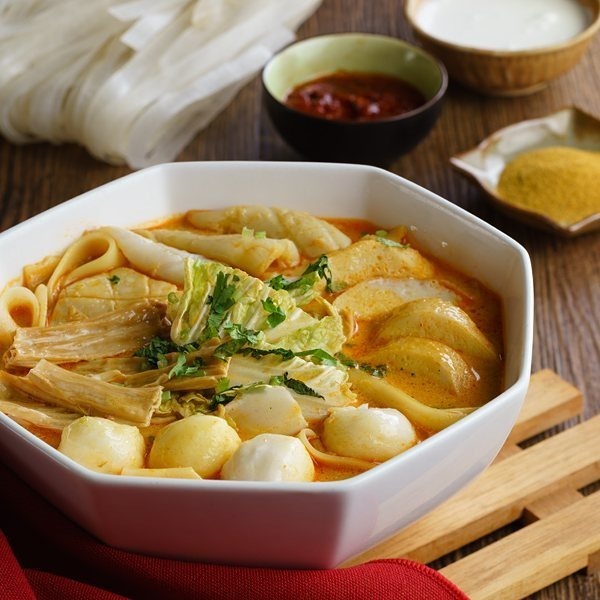 A family favorite that has withstood the test of time and generations is the household name Gloria Maris, which has been a go-to for large groups and families set on indulging in a Chinese food feast for years now. People come over to taste the iconic Peking Duck (P2200), the Birthday Noodles (P300-750), Sweet & Sour Pork (P350-750), the congee, soups, fried rice, and fresh seafood hot pots, vegetables, and many more. The menu is practically complete! 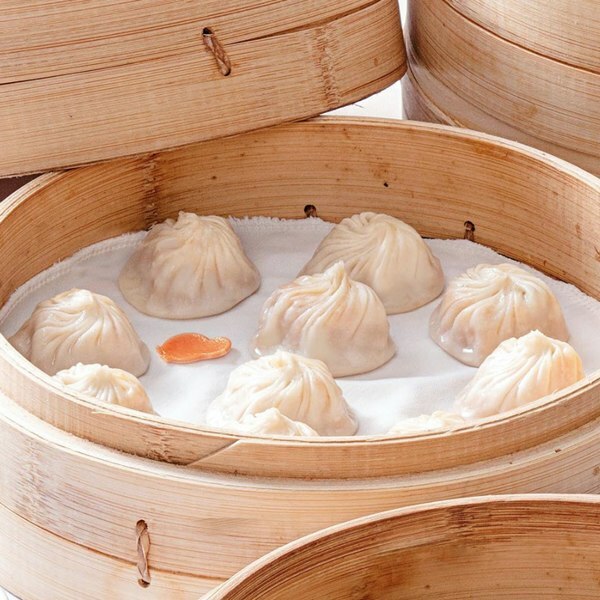 This Chinese-Taiwanese cafe is also known for their Xiaolongbao, and for good reason. Lugang serves up the usual pork kind (P258), but also interesting Vegetarian Dumplings with Truffle Oil (P288) and Angled Loofah with Shrimp (P249). 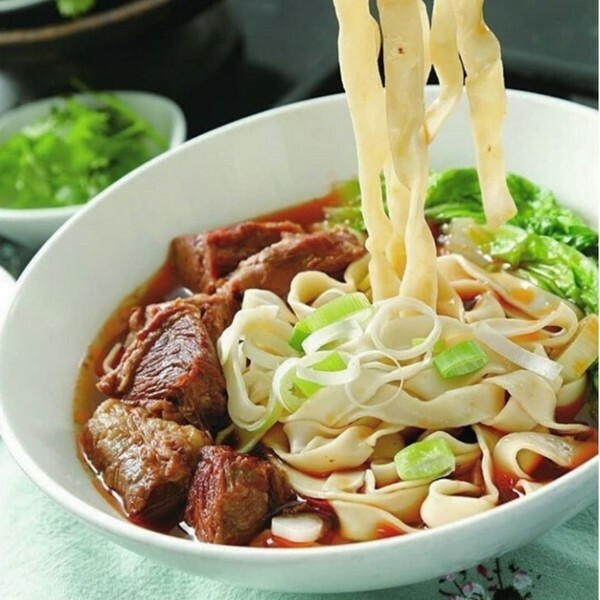 Its broad menu includes House Specials Taiwanese Stewed Minced Pork (P220) and roasted meats for big appetites: Duck (P620-P1240) and Pork Belly (P380). 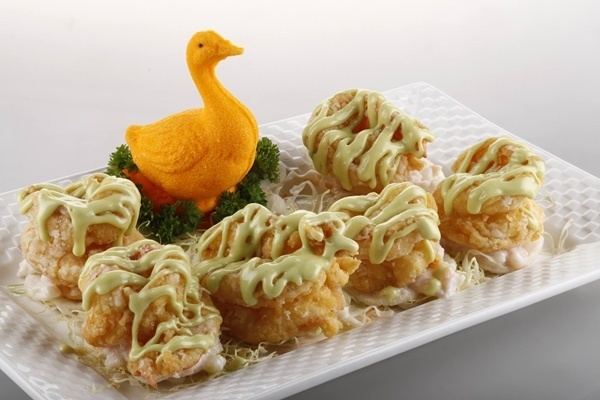 Their Oyster Omelette (P260) also deserves a mention, as well as the addictive Salt and Pepper Squid (P360) appetizer. 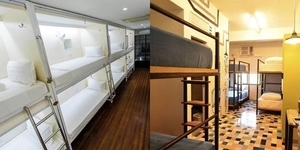 The underrated Chinese resto has quite a lot up its sleeve! 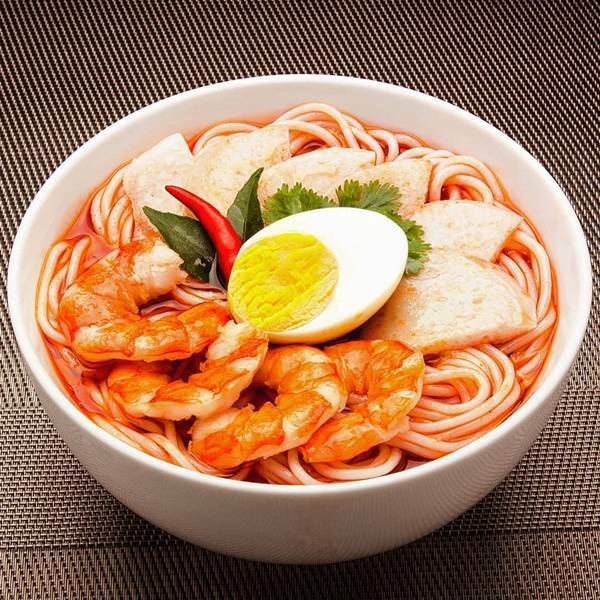 Its menu even includes the famous ramen made with another Asian twist, like their Fish Ball Ramen (P198) and the Singaporean Seafood Laksa Ramen (P298). Other notable items on their menu? 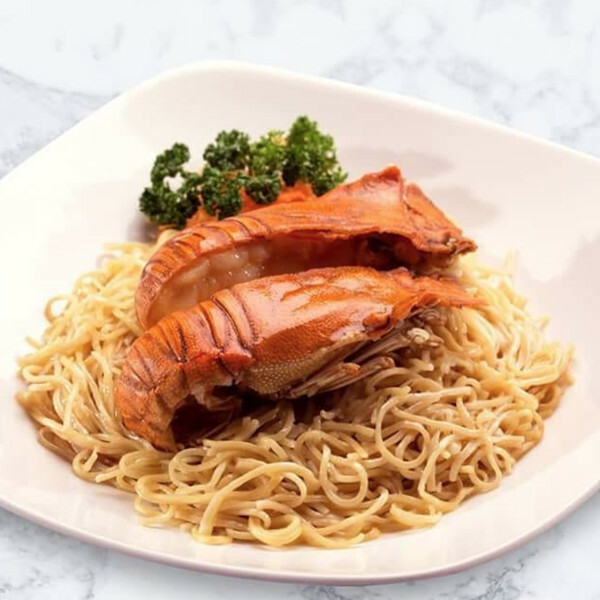 Their Seafood Crispy Fried Noodles is a crowd favorite (P358), as well as the signature Yang Chow Fried Rice for sharing (P328) and the addictive Salt and Pepper Fried Squid (P398) for an appetizer. Taking up Chinese dining up a higher, classier, and a more sophisticated notch is Crystal Jade, known for its classy interiors and unique menu. 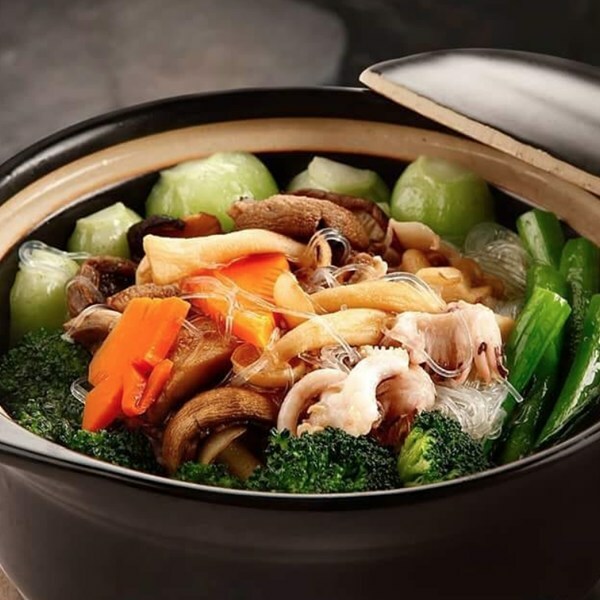 At the front of its menu is the Chef’s Recommendation, the Crystal Jade Treasure Pot, a bowl of gastronomical proportions, filled with anything and everything – shrimp, squid, mushrooms, chicken, etc. (P4,880). 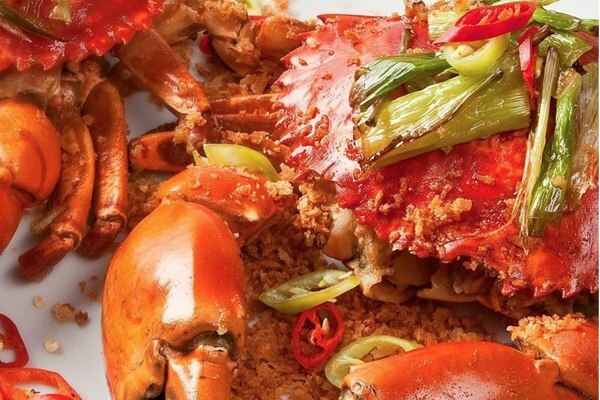 The Golden Baked Stuffed Crab is also a steal (P960), as well as the tender Braised Beef Ribs (P380) and of course, the Roasted Peking Duck (P600-P2000) and Suckling Pig (P1,400-P5,500), the meaty stars of the show. 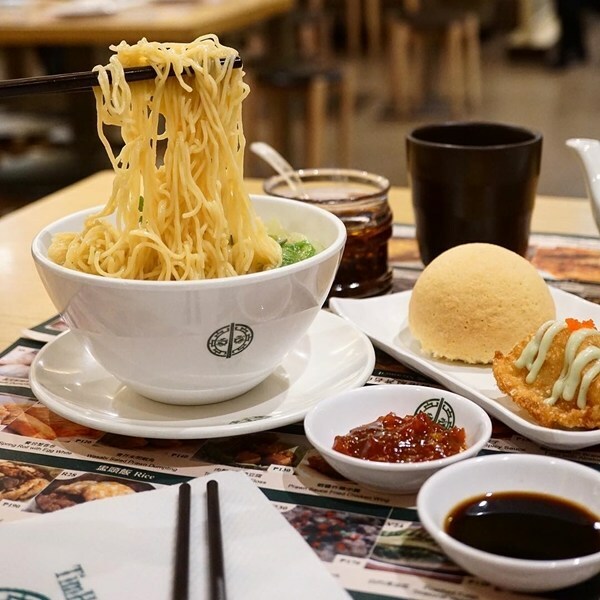 A fast casual restaurant catering to long lines almost every day is Tim Ho Wan, the chain originally famous for their freshly-baked pork buns (P145) The menu isn’t as extensive as other restos, but that’s what sets it apart – it’s straightforward, simple, but everything on it is of high-quality. Many vouches too for their dumpling choices, like the Steamed Spinach Dumpling with Shrimp (P120), the best Prawn Dumplings (P160), and the moist Rice with Chicken, Sausage, and Mushroom (P170). 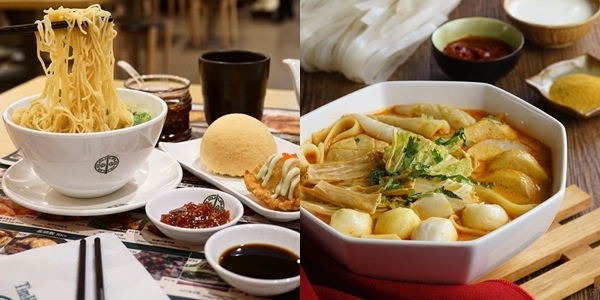 The Beef Tendon Noodles (P190) and the Lotus Cake with Minced Pork (P150) appear on the Chef’s Special collection. 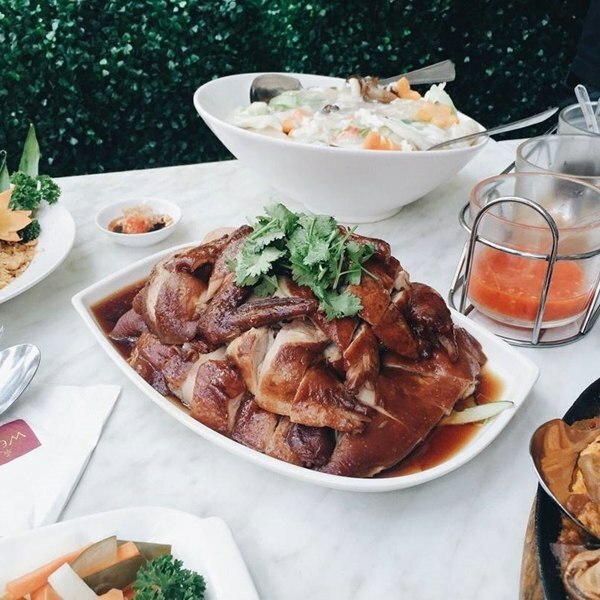 The name says it all – for quality Peking duck, head over to Peking Garden! There’s the signature Barbecued Peking duck to share (P2,600), but that’s not all the restaurant has to offer – they have pork, beef, and seafood options to try out, too. The classic Sweet and Sour Pork is readily available (P400-P800), Shark’s Fin Soup with Crabmeat (P700-P3,800), Spicy King Prawns (P800), and Deep-fried Shredded Beef with Chili (P440-P880). Everything sounds so mouthwatering!